RemoteCommand manager is designed to execute commands and processes on multiple remote PCs. It enables you to control and automate the administration of system and applications remotely. 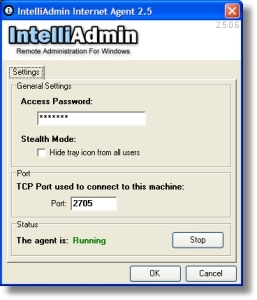 Tool does not require to install client part on the remote PCs. Anyplace Control is a program for displaying the screen of remote PC on your monitor which allows you to use your mouse and keyboard to control the computer remotely. Easy to use and reliable Vista compatible software.